There had been rumours for the last week or so but no one took them that seriously. Then at 6pm on Tuesday 12th September Gianluca Vialli, the most successful manager in Chelsea’s history, felt a curious stabbing pain in the base of his spine. Ken Bates had sacked yet another Chelsea manager, just five games in to the Premiership campaign. Gianluca’s name goes on the list of Bates’ victims alongside Bobby Campbell, Ian Porterfield and Ruud Gullit. Given how early in the season this has come, it seems logical to assume that the club has already got another man lined-up for the job and ready to take over soon. If this is not the case then Bates and Hutchinson have ruined the season already. With no replacement ready to take over Vialli should have been given at least until Christmas to try to get things right before being put out of a job. 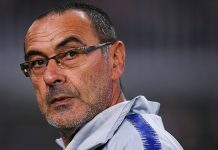 What Chelsea does not need now is another player to be promoted to player/manager status or even non-playing manager. An experienced hand is needed at the tiller, someone who has already enjoyed success at the highest level as a manager. Being Chelsea, that someone will probably be a Continental. Cragnotti, Sacchi, Trapatoni, Zoff, Cryuff, Rijkaard? The speculation starts here. The George Graham scare stories have already started and Wise, Leboeuf and Zola (the bookmakers’ favourite) have all been touted as possible successors. Another name in the frame is Terry Venables. Dennis Wise states in his autobiography that the former Chelsea trainee is the coach whom he most admires in football. As a football manager his talent is unquestioned but would he be able to keep his fingers out of the till? The parting message to Vialli is one of thanks for his achievements as a Chelsea player and manager. He will be remembered by Blues fans as a man of dignity who brought excitement to the Bridge and won more silverware than any of his illustrious predecessors or Bates’ yes-men. One wonders what Ruud Gullit makes of it all.